Provita, a company staffed entirely by kids under 18, is working on a project (with funding from the Gates Foundation) to use mosquitoes to help carry important vaccines. Joshua Meier, CEO of biotechnology company Provita Pharmaceuticals, spends about 20 hours a week on research projects in the various labs at his disposal. In January, the company gave a presentation to the FDA on its work with the flying syringe, a tool that uses mosquitoes as a vector to deliver vaccines to those who need them. Provita has also submitted a grant idea to the Bill and Melinda Gates Foundation. But you might not recognize Meier as a CEO if you saw him walking down the street–he’s 16. In fact, everyone on the 15-plus person Provita team, from research and development workers to finance officers, is in high school. 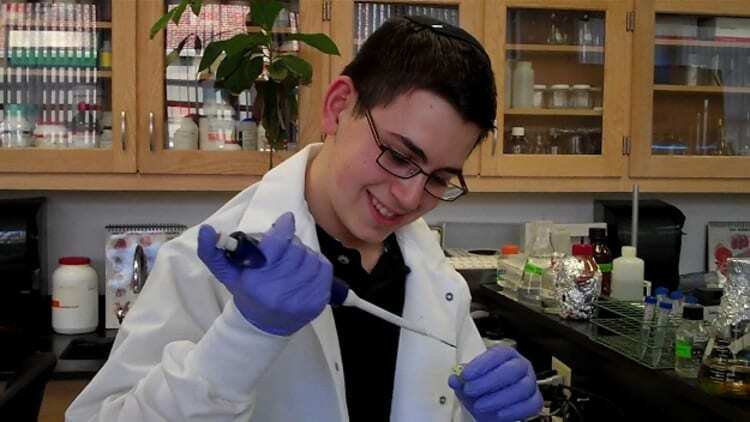 Provita was founded in 2008, before Meier–a junior and a finalist in the 2012 Google Science Fair–entered high school at the Bergen County Academies, a group of seven magnet high school programs that each hone in on different subjects, including a program focused on science and technology (where Meier is a student), a business and finance program, and a medical science and technology program. Provita emerged when some of the science-focused kids decided to collaborate with the business-minded students on a business plan competition for their research. The Provita team certainly has enough equipment at its disposal, including a stem cell lab and a microbiology lab at the school. Memorial Sloan Kettering Cancer Center in New York City has even indicated interest in helping with future development. More recently, Provita has started working on the flying syringe. That project is still in the very early stages. “We can’t really culture mosquitoes in the lab at our high school because that’s dangerous, but we a have research advisor and ideas planned out, and the next step is making a partnership, contacting other places that do have animal facilities,” says Meier. The first goal: to genetically engineer mosquitoes so that they can produce and deliver a vaccine (via their saliva) for West Nile Virus. The mosquitoes, Meier explains, will be sterilized to prevent any out-of-control problems. It’s a new twist on research being done elsewhere to breed sterile mosquitoes in malaria-infested areas.